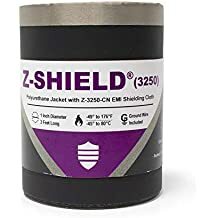 Heatreflect Als - Thermal Wraps And Heat Reflective Tapes - Thermal Management - Products - ZT | Zippertubing Co.
HeatReflect® (ALS) is a thin, lightweight, flexible, fiberglass-reinforced, high-temperature tape that features a reflective aluminum surface on one side. This heat-reflective tape is intended to be used in applications such as the Automotive and Transportation industries where high-temperature heat protection is needed to protect your valuable components. Install this tape on indoor or outdoor electrical wires, cables, hoses or pipes. HeatReflect® (ALS) can withstand continuous temperatures of up to 300°F. The acrylic, high-temperature, clear adhesive backing provides a secure method of applying the tape to many types of installations and applications. 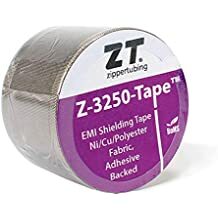 Zippertubing’s similar product, HeatReflect® (ALP), which is also a thermal protective tape, has a thickness of .021”, while this product, HeatReflect® (ALS), is half the thickness at .011”. The material used in HeatReflect® (ALS) tape has been tested to SAE J 2302 requirements.